Despite denials by Samsung, whose audit of its supplier's factories showed no underage workers, China Labor Watch says that there was definitely three underage girls working for HTNS Shenzhen. The organization says that the trio were 1 or 2 years under the legal working age of 16 despite holding falsified IDs that showed all of them to be older than 16. China Labor Watch says that companies that round up workers for the factories will sometime create false identification which the factory doesn't bother to validate. While HTNS wasn't purposely looking to hire underage workers, the process is so lax that it isn't surprising to hear that some workers under 16 were on the assembly line. On the other hand, South China Managing Director of HTNS, Han Jang Seok, said that the company has verification procedures that make sure that "it is impossible for us to hire child labor." China Labor Watch believes that the verification process might not be enough to keep underage workers off HTNS' factory floor. Samsung released a statement on Saturday confirming that no underage workers were discovered at HTNS and that the Korean based manufacturer has a zero-tolerance policy toward underage factory workers. The report from the China Labor Watch (click on the sourcelink) goes into detail about the underage workers and includes a section on "crude comments" made to workers such as "Always do what your supervisor orders you to do. Even if it is wrong, you must do it." 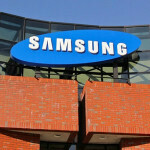 The report makes for some fascinating reading about the people building parts for your Samsung Galaxy S III or Samsung GALAXY Note II. S0cratching the paint on a phone results in a 30 RMB ($4.81 USD) charge. Workers are paid 1200 RMB a month ($192.26 USD) but 50 RMB ($8.01 USD) is deducted each month for cafeteria service whether or not the worker eats there. if any of them do say something, they are just being hypocritical. All over the world there are kids making stuff - look at Asia.. Indonesia - Americans love cheap products, but they can come at a price. I agree. Wait, how do I ALREADY have a down thumb? there, I evened it for you. what America should do is create factories like they have in China and employee Americans to work - I hear we do not have enough skilled laborers for such factories - I smell bull shiite...there are thousands of high school students who could be trained so that when they graduate they have a good paying job in such factory. It takes money to make this happen, but maybe companies have to start thinking about their own country for once and not always about making billions upon billions. Yep... we all know the "not enough skilled workers" line is just one big long steaming brown line of bull. It's not that there aren't enough skilled laborers in America, it's that that aren't many Americans willing to work below minimum wage. Hell, it's hard enough to make ends meet at minimum wage much less below it. I see it as a failure of corporate America to adapt to a changing society. Much of the wealth and power came from exploitation of slaves and "indentured servants" aka still slaves, to the Chinese/Irish immigrants building the railroad infrastructure, to legal segregation which only ended a few decades ago, to even now where women aren't on the same pay scale as their male counterparts for the same jobs. Now the only way they can keep their rapacious profit margins is through out-sourcing. Or in-sourcing now, which makes it look like they are creating jobs locally, but in the end, they really aren't. And Samsung makes Apple's chips.. I'm an apple user, and I'm not about to blast Samsung for what news week revealed years ago was going in these factories. All of them r guilty of this, it's called big business...they all do it bro. Apple and Samsung profit margins.should allow them to produce their products in US and South Korea respectively. Their greed is the only thing that stop them. Under age, over age , any age it doesn't matter..I am very impressed at what samsung is doing..I may pick up a Galaxy Note 2 really soon. #Hands are itching!! Your username doesn't match up galaxies... Are you trying to make fun of Sammy fans? So it's okay for Samsung I guess, Apple is evil Samsung can't do anything wrong lol, where's Remixfa btw that fool always defend crapsung no matter what. Having an article stating "Shoots Down" with "Underage" is a really poor choice of words right now considering the tragedy that just happened. I love what Sammy does with there internals on the phones but until they step up there build quality,designs and materials I wouldn't buy from them anyways. We all know this goes on in china and as do the companies that decide to build products in hat country. No excuses no matter the country.